Listening to Nuon Chea’s speech in this video clip on facebook, he is critically out of date. His word cannot buy out the thought of Cambodian youth who are increasing to represent 70% of total 15 millions Cambodian population. Those are post-baby boomer generation, they are very pragmatic. They are not easily bought out by this low and xenophobic propaganda although they have perceived about this issue. The entrenched ideology could not be an excuse for such failed leadership of irresponsible crime against humanity. Contrarily, the mass killing and forceful displacement to allow local authority to punish and kills their own citizens is seen as the hidden scenario or modern political scientists called it “conspiracy”. Nuon Chea’s speech showed an entrenched cowardice leadership. It will be disengaged by a new perspective at least they perceive those actions as a vague extremism and conspiracy agenda. Talking about this conspiracy theory, world renown undercover agents have been hiding under the skin of culture and tradition. We have learnt about the Christian missionaries who were working to draw map and make plan for powerful colonists to step in. During the post-cold war and the spread of communism ideology in Indochina, many Vietnamese worked on their way to hide their identity through wearing monk saffron robes. Their intelligence through becoming a monk is not only helping them to record adequate information, also helped them with free shelter and daily meal. Ho Chi Minh is known for his monkhood in Eastern Thailand of Ubon Rajathani. 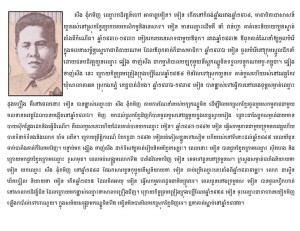 Achar Mien aka (fake name) Son Ngoc Minh ordained and enjoyed full mission as a Vietnamese revolutionist during his monkhood. 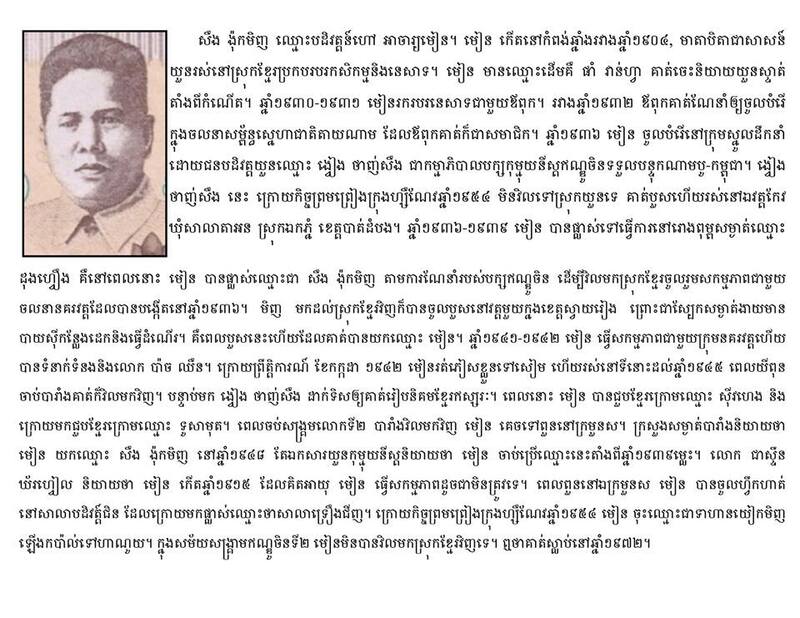 Many Vietnamese revolutionists were believed to ordain in Cambodia soil and other places without knowing who they are. To be a Buddhist monk, they receive huge legitimate power and safest haven. This question should be a great topic for research for young Cambodian graduates. There is a dangerous loophole for Cambodia as a nation on anticipating the root authenticity of each citizen because of untraceable last name. Many countries have adopted permanent last name to track the family root and authenticate family members in the purpose to secure unfavorable hidden ill-will citizens as well as for medication tracking remedy. Cambodian government should consider on this scenario as well. While the world has been carefully appreciate the convict of Nuon Chean and Khiev Somphan for the guilty they both have done during managing top down bureaucrats as crime against humanity to lifetime imprisonment, the Cambodian people are knowing very little about this. Through the report of Radio French Internation (RFI), the people who are bused to sit watching and listening the trial judgment seems don’t know who is Nuon Chea and who is Khiev Somphan. They said that during that terrible day, they know and remember the chief of commune, or chief of village, or chief of district, who took away their children and siblings to the killing machine.